As Private Equity Cashes Out, What’s Next for DNKN? After six year of ownership, the trio of private equity (PE) firms that purchased Dunkin’ Brands for $2.4 billion, has effectively cashed out their remaining 30 percent stake. Bain Capital, Carlyle and TH Lee took a $500 million stock buyback in July 2012; the trio had already cashed out their investment through stock sales initiated after the July 2011 initial public offering (IPO). This was not unexpected as private equity firms typically have an investment window of five to six years. 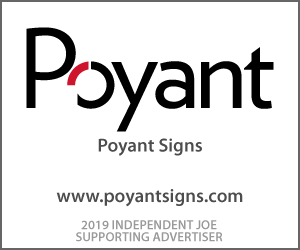 Recently the Washington Post reported the PE firms earned $1.8 billion profit on their ownership of Dunkin’ Brands (DBI). Because Bain and Lee are not publicly traded companies, the exact amount is not known. The firms made their money chiefly through management fees, a percentage of the investment gain, and their own DNKN stock gains. So, while the basic mission of DNKN remains the same – grow the brand, support the stock price and make money – the environment its leadership faces is changing. This is extraordinarily highly concentrated ownership versus other stocks. The top three investors will have significant power and attention. Other significant investors include Vanguard, Oppenheimer and Hartford (9.9% combined). One hedge fund investor, Coative Management, owns 3.7%. Company insiders, chiefly Jon Luther and Nigel Travis, own 2.7%. 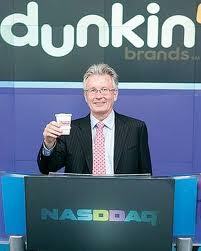 It is estimated that Dunkin’ franchise owners have just a tiny ownership portion, less than 1%. Institutional investors (e.g., mutual funds, pension plans) are passive investors and tend to be hands-off operationally, yet are oriented towards extraordinary stock price returns. Most of their shares trade via computer programs. They receive large amounts of attention from company executives and stock analysts. Dunkin’ Brand’s leadership will face environmental changes. Unlike those from the PE trio which was focused on improving and brand, receiving dividends, shepherding a successful IPO and then exit, the new institutional stock owners are focused on long term growth and stock price. Both Nigel and the new CFO, Paul Carbone must now spend considerable time with the new investors. The players will be different than interfacing with the prior Bain and Carlyle board members who had an extensive prior retail and restaurant focus. Secondly, DNKN needs to reconstitute its board and find a new majority – independent board members that are not aligned with the company. Right now, only three of eleven directors aren’t part of the prior PE or company ownership group. One independent director now on board is Raul Alvarez, the former McDonald’s chief operating officer who retired in 2010. He could be a candidate for the lead independent director role, an official board position of power and influence. Jon Luther cannot be in that role. Some of the PE group directors will stay on until their terms expire in 2014 or 2015. Luther and Travis are on the board with 2014 expiration terms. DNKN will also need to establish a funding mechanism for dividend payouts and stock buybacks – while remaining in compliance with their lender covenants. This will cause internal funds reshuffling. Last year DNKN posted $245 million in earnings before depreciation, amortization, interest and taxes but only $34 million in net income. It’s clear the future focus is going to be on same store sales, unit growth, reported earnings and return on capital. These are the metrics that drive stock prices, over time. Finally, DBI executive bonus targets may change, to be more challenging. Currently Travis and team have primary, secondary and personal goal targets. Total revenue, same store sales and EBITDA are among the current targets. Likely, same store sales and earnings growth rate will be more highly ranked in the future. Among some investors, there is the perception that DNKN stock is overvalued and likely to miss targets. Spending more time with the institutional investors will be necessary to relieve those concerns. Kosman noted that two other restaurant chains which were part of Bain’s investment portfolio – Burger King and Dominos – had rough times after the PE firms exited. Burger King began a massive decline in 2009-2010, seven years after Bain’s purchase and three years after its 2006 IPO. A new PE firm, 3G Capital, is now in control and has cut costs in order to achieve favorable U.S. sales momentum. But franchisees suffered along the way. Bain purchased Dominos in 1997 and its U.S. trends flattened and later declined between 2006 and 2010. Despite some international growth and a stock price peak in 2010-2011, thanks to improving macro restaurant/pizza sector trends and the introduction of its 2 pizzas for $5.99-each promotion, U.S. Dominos unit counts have been flat and U.S. franchisee profitability has not been enough to sustain new store growth. Many industry observers, including this analyst, feel that the Dunkin’ Donuts brand, and especially its U.S. Dunkin’ Donuts franchisee base, gives it a stronger position versus those brands. Dunkin’ franchisee economics is stronger than those of both Burger King and Dominos on a per unit basis. 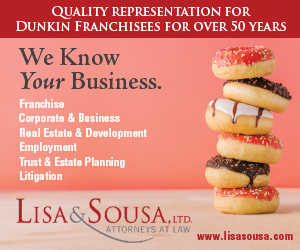 Franchisees should carefully monitor DBI and be on alert for short-term stunts that could help DNKN achieve positive quarterly numbers but could actually weaken Dunkin’ Donuts structurally. Typically, those revolve around marketing execution (same store sales gains versus store profitability), new product development and licensing, over development of new shops and risk of cannibalization, sale/resale of shops and territories; and other ways DBI can make money by stretching existing practices. If and when that happens, franchisees should use their communications capabilities to be sure investors and consumers understand how ownership could be damaging the long-term viability of this beloved brand. John will be speaking at the DDIFO Annual National Conference at Mohegan Sun on Friday September 28th, 2012. For more information Click Here.